I was experiencing persistently high levels of anxiety that made it impossible to handle the regular stresses of daily life. I sought acupuncture because I wanted to avoid having to take medication, as I usually have negative side effects. The treatments were fast and mostly painless, and the staff spent a considerable amount of time getting to know me and learn about my issues and goals for the acupuncture treatment. After my first few sessions of acupuncture, I noticed I was less bothered by things that normally made me anxious. After completing eight sessions of acupuncture, my baseline level of anxiety was much lower and I am now able to manage most days without feeling anxious at all. If I do feel anxious, I recover quickly. Even stressful events at work and home have not affected me as they used to, and I am able to be clear-headed and maintain perspective throughout the day. In fact, I have on several occasions felt a peacefulness that I never before experienced in my life. In conjunction with leading a healthy lifestyle and developing a fit spiritual condition, acupuncture was a critical and transformational element in helping me recover from anxiety. Acupuncture was my last hope for unusual symptoms... and it worked! I have been going to Transformational Acupuncture and seeing Jeremy for treatment for the past five months. Before seeing Jeremy, I had reached a low with my health and was struggling to find answers and solutions. I went to numerous doctors – a rheumatologist, a cardiologist, a pulmonologist, etc. – and was unable to find any assistance with my symptoms. Instead, each doctor passed me off to another and did not take the time to listen to what I was saying or give credence to the pain I was feeling. Many of the doctors negated my pain and symptoms and insinuated that I probably just had anxiety and should see a therapist. Meanwhile, my symptoms – muscle pain, headaches, nausea, shortness of breath, fatigue, eye pain – became increasingly difficult to cope with. For me, acupuncture felt like my last hope after I had exhausted the resources of Western medicine and came up empty-handed. Thankfully, my first appointment with Jeremy made me feel like I had finally chosen the right path for addressing my health issues. Jeremy truly listens to his patients and seeks to understand their needs and struggles, physically and emotionally. After only a few weeks of acupuncture treatment, I was already beginning to feel a difference and the intensity of the pain was lessening. Over the course of the treatment, I have seen many of my symptoms disappear completely and I feel much more resilient in my ability to cope with any symptoms that do recur. I no longer feel like every day is a struggle to get through as I did for about a year before seeing Jeremy. My experience with Transformational Acupuncture, and with Jeremy specifically, has been more fulfilling than I can truly convey in words. I find it difficult to describe what "Transformational Acupuncture" has done for me without spouting marketing cliches. Transformational Acupuncture has provided more pain relief for my back than physical therapy and chiropractic care. I can now sleep without painkillers and participate in everyday activities like driving. Although I went to other acupuncture clinics in the past, their treatment as not as effective as Transformational Acupuncture. I came to Jeremy with a hamstring injury that I developed while running. I was new to acupuncture and Jeremy instantly put me at ease. It seems to me that successful treatment is pretty dependent on good rapport and communication with your acupuncturist, and Jeremy excels in this regard. After 4 treatments, my hamstring is now pain-free. In addition to providing great treatments, he also had several other strategies to help me stay healthy and injury-free long-term. I liked his holistic approach. I started coming to Transformational Acupuncture because I was looking for a way to reduce migraines and help deal with anxiety I was experiencing after a recent serious medical issue. I used to get about 7-10 migraines with aura per year, but in the year I've been doing acupuncture, I haven't gotten any! Acupuncture has also been extremely effective for my anxiety; within a few weeks, I found that I was much less anxious. I mainly see Courtney but have also seen Andrei, Jeremy, and Amy, and they are all wonderful. They're all very easy to talk to and have a nice, gentle approach. I've already told a few friends about Transformational Acupuncture and can't recommend them highly enough! I came to Transformational Acupuncture because I was stressed out from life. My husband had moved out of state for a new job and I was left with cleaning up the house, getting it ready to sell, and put it on the market while working full time. This had been going on for over a year, and I was STRESSED. My shoulder and neck were in knots, and my hair was thinning. The only drug I occasionally took when I was desperate would knock me out for the night and make it difficult to get up in the morning. I was scared of drugs and didn't want to get addicted to them. It took me 2 months of walking by their sign outside that says "Have you tried acupuncture? ", before I thought, "What do I have to lose besides more hair?". I found the staff to be very understanding and easy to talk to. Even after just the first visit I just felt more mellow, more calm. I've been going for 2 months now, and it is a luxury to just feel better and less stressed. Even my hairdresser said my hair is a little thicker. The extra nice part was that during my visits, they would ask me if I had any pains or problems anywhere else - a little knee pain here, a little arm pain there, a sinus problem that my medical doctor said was "chronic" - they took care of it. I am a firm believer in acupuncture now. I was also grateful for their pricing and insurance. I really enjoy going to acupuncture at Transformational Acupuncture. I have been hooked on acupuncture since 2011. I took a break for a year or so because of graduate school (slim funds). I was in really bad shape (stress, bad immune system, nightmares) and tried a new acupuncturist. My stress and anxiety was getting worse and I decided to try Transformational Acupuncture. (Bonus: Transformational Acupuncture takes health insurance.) Courtney is great and I feel very comfortable talking about women things with her. There is no judgement from Courtney. Also, she actually makes me feel human again! Transformational Acupuncture has been life changing. Since starting treatments five months ago, I am the most consistently happy and euphoric that I have been since high school. I feel like the best version of myself as a wife, daughter, sister, friend, employee and listener. Multiple advancements and successes in my career--which I've been wanting for years--have happened since starting acupuncture. Best of all, I am excited about the present and the future and have the least anxiety I have felt in years. I am so grateful to the team at Transformational Acupuncture for helping me be the person I've wanted to be. Not only is Jeremy well-studied and practiced, and a font of information, he also has an innate gift for healing that can't be learned. He listens, processes, and always offers me more than one approach to addressing whatever is going on in my mind or body on a given day - whether it's a momentary ailment or a long-term issue he's helping me work through. Jeremy is a skilled and deeply compassionate practitioner; I recommend him highly. Dear Jeremy, I am so thankful that you have served as my acupuncture practitioner for the past five months now. I can't thank you enough for your guidance, support, encouragement, and advice over this time. Not only have my initial concerns been addressed and corrected, but you have also helped me in ways I did not expect. Since receiving treatment with you, my appetite has returned; not just my physical appetite, but my appetite for life as well. I had been feeling so uninspired and dispassionate, and through treatment with you as well as through other actions of mine, my zest and excitement for life has returned. I am also eating better and making better food choices for myself. In addition, I have experienced much more ease with life since starting treatment with you. I will never forget the day you told me that my thoughts are not personal. Since that moment, I have experienced such freedom from the mental traps into which I fall so frequently. Whenever I observe myself getting caught up in my thoughts or mental judgments of myself, I remember our conversation, and simply let the thoughts go. So, thank you, Jeremy, for your listening, your presence, and your willingness to partner with me on my journey. I am grateful for the amazing way you hold yourself in the treatment room - not once did I feel judged or silly. You are truly a gifted practitioner. I started seeing Jeremy in June and had a lot of stress related to work which disrupted my focus and sleep. During our sessions, which were a combination of coaching/therapy and acupuncture, he taught me how to work through my stress in healthy and sustainable ways. In the past I've used exercise as a coping mechanism for stress, which has always helped and still does, but a few hours after a workout, the stress and endless thoughts/anxiety come back. Exercise hasn't been a sustainable way for me to handle my stress. After working with Jeremy for about 3 months, I successfully gained the tools to not allow my thoughts to overpower me or affect my health. When I get anxious or stressed, I know how to relax and refocus. 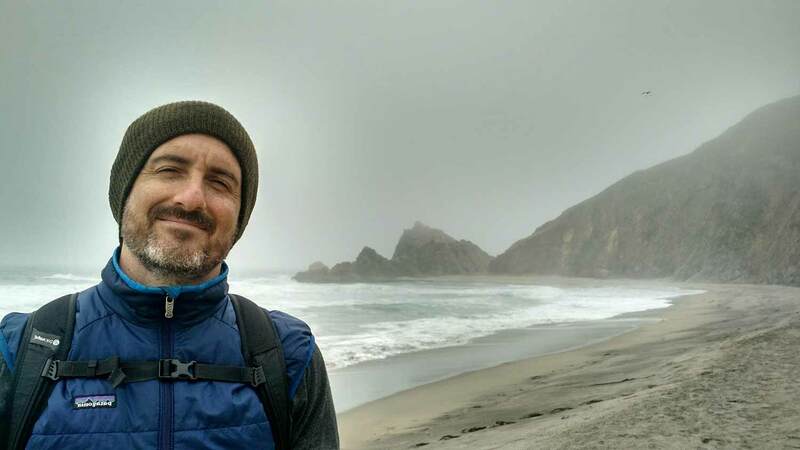 Transformational acupuncture with Jeremy has had a great impact on my long-term health and regular acupuncture (which I've tried before) has never helped me get the same level of results. I can't recommend this practice enough. If you work with Jeremy, take his regiment seriously and commit to your mental and physical long-term health, you will undoubtedly succeed. I've been coming to Transformational Acupuncture for just over a month now and have experienced excellent results from working with Jamee Pineda. My chronic pain and migraines have gone down and my cycles have been more regular. We are now working on my fertility and I look forward to seeing what we can accomplish together. The space is very inviting and LGBTQ-friendly! Highly recommend!! Jeremy is a miracle worker. My foot was killing me. I was on crutches and my regular doctors were nonplussed. After a few sessions with Jeremy I was running around DC again. Even after my foot healed I continue to see him regularly. Our sessions help center and balance me. I have worked through some complex and difficult emotional problems talking to Jeremy. I sleep better, am better equipped to confront any issues I encounter and I stress out a whole lot less. I highly recommend him. These practitioners help me understand what’s going on in my body much better than any gynecologist has been able to. I came to Transformational Acupuncture after nearly two years of intense chronic pain and discomfort related to autoimmune and gynecological disorders. From my very first visits, the practitioners here have given me a level of care and attention that is far above and beyond what I got from any of the multiple doctors and specialists I’ve seen in the past two years. These people really care about the health and well-being of their patients. They’re not in it for the money, and they don’t push me to take drugs or buy products. They track my symptoms with great care and detail and take the time to assess my progress with every visit. At times, they’ve even referred me to other practices. They have a wealth of knowledge and experience when it comes to natural health care practices. Women’s health care is incredibly poor in this country. But these practitioners help me understand what’s going on in my body much better than any gynecologist has been able to. I highly recommend Transformational Acupuncture for all your acupuncture and Chinese medicine needs. My health journey is a long and slow one. Transformational Acupuncture was the first practice in two years that helped me make some progress. I went to Jeremy with severe upper back and shoulder pain that had lasted for 8 months, my pain was a constant 7-9/10. I had tried almost every modern treatment available to no avail before I turned to Eastern medicine. After the first treatment the pain was reduced drastically, after several treatments I could use my arm again! My chiropractor believes that without Jeremy's treatment I would have continued to struggle in my recovery. However since my treatment I am well on my way to a full recovery. Jeremy is great to work with, he worked around my busy schedule and I could tell he truly cares about healing you. I would recommend him any day and am proof that ancient medicine can work where modern medicine fails. 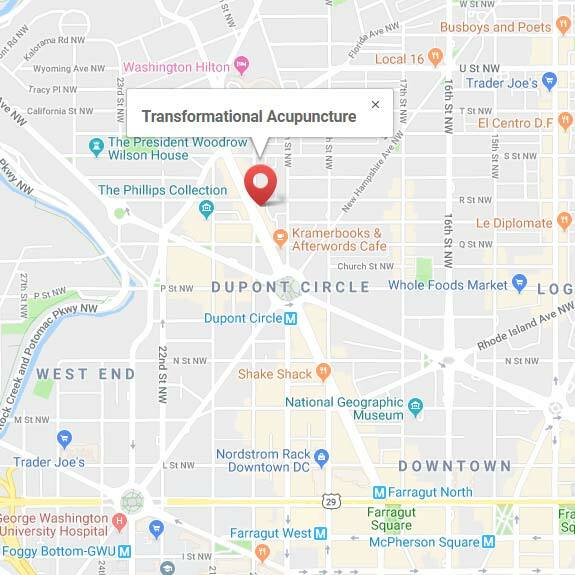 If you've never tried acupuncture before, I would highly recommend the entire team of acupuncturists at Transformational Acupuncture. I was a bit nervous initially coming in (especially with a phobia of needles!) and Courtney put me completely at ease and explained the entire process. She has been an amazing person to have on my side while I healed from a foot injury and treats you as a whole person. Even though I tried acupuncture to help speed the healing of an injury, I also came out feeling rejuvenated mentally. I had been feeling blocked for a few months and saw a huge change in my mental state in just 1-2 treatments. I also started sleeping better, have had improved digestion, and fewer sugar cravings. I think acupuncture is key to staying healthy and balanced. Jeremy helped me through an incredibly difficult time in my life, after I was unexpectantly diagnosed with a chronic illness. Through a combination of relaxing acupuncture, nutritional counseling, and truly kind, deep, and holistic counseling, Jeremy started me on the path towards getting better. Highly recommended for those looking for a knowledgeable acupuncturist and a gifted healer. Jeremy takes care to get to know the whole patient, requiring his clients to submit a thorough questionnaire prior to meeting them, then engaging the client in a detailed conversation about physical, emotional, and spiritual aspects of his or her wellbeing prior to giving any acupuncture treatment. The treatments I've received from him thus far have been effective, and should the need arise, I'll certainly be going back to him. I first met Jeremy through my dentist, who has been on the vanguard of holistic medicine and biologic dentistry. Despite modern medicine's inclination (and the insurance industry's complicity) to separate our teeth, eyes, and ears from the body, it's all connected. Jeremy not only provided gentle treatments to address some dental discomfort, he focused on left hip and back pain, recurring depression, and symptoms of ADD. Within one or two treatments, the hip pain was gone. He also offered Traditional Chinese Medicine as an alternative to conventional OTC remedies in the form of herbs to support my immune system when I was faced with colds, coughing, and flu. The healer-patient relationship is a mutual one: Jeremy listened intently to really hear what I had to say, but also challenged me to bring out the inner healer in me. He is a man of deep integrity, caring, and patience. I have been fortunate to have his help on this phase of my own journey. Relief from menopause symptoms--no more hot flashes & brain fog! I feel the 5-week acupuncture treatment that I received at Transformational Acupuncture was extremely beneficial. I had a series of issues which were making it difficult to fully function at work and at home. I am menopausal and the hormone spikes were causing me to suffer from hot flashes, fatigue, sleeplessness, and brain fog. My symptoms have vastly improved. For example, my mind feels much sharper and my memory is improved. My hot flashes disappeared--which is a blessing during the DC summer. Jeremy would meet with me before each treatment session to assess my progress, which made me feel that I was being treated as an individual, and not just a number. Thank you! I feel like I can deal with life again. I've been to Transformational Acupuncture 4 times so far, and each time has been great. The staff are friendly, helpful, and professional, the location is convenient, the space is clean and tranquil, and the scheduling is easy. Most importantly, my acupuncturist has been proactive about creating a plan that centers on my needs when I walk in, and I've been experiencing relief after each session. Based on my experiences thus far, I'd highly recommend Transformational Acupuncture, and Jamee (he's my awesome acupuncturist) in particular. Just please don't take all his appointment slots! I started coming to Transformational Acupuncture after suffering for several months from insomnia. I had gotten good benefits from acupuncture in the past for other issues and after realizing my sleep just wasn’t getting any better, decided to see if acupuncture would help. After a few months my sleep has returned to normal, and I believe acupuncture has been instrumental in resolving the issue. The practitioners at Transformational Acupuncture are good people, who care tremendously about their clients, and are enthusiastic about what they do. 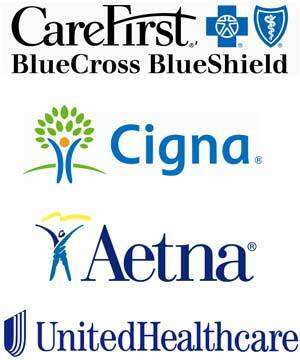 They also make it very easy to access insurance benefits if you have them and strive to keeps costs affordable if you don’t. I have recommended Transformational Acupuncture to friends and continue to go biweekly as a way to maintain my general health. I came to Transformational Acupuncture seeking treatment for muscle twitches and general stress and anxiety. Courtney worked with me to address this through a combination of consultations and acupuncture treatments. After just a few sessions, I began to notice the positive effects. I felt more relaxed during and after the treatments -- as well as in my day-to-day life. The muscle twitches also largely subsided. In addition, Courtney worked with me to develop techniques for shifting patterns of activity and thinking that were driving stress. Over the course of several months, there has been a marked shift: I have arrived at a more balanced daily routine and overall state of mind and body. Beyond the treatments, the entire staff has been very welcoming and friendly, making for a great overall experience. The facility is top-notch, the atmosphere is relaxing, and the location is very accessible. I highly recommend it. The acupuncture sessions with Jeremy have helped both my wife and I through a very difficult time in our lives. It has helped to return us to a sense of balance. Time and again he has offered non-judgmental insightful advice. Our time with Jeremy has helped us to question our original thought patterns and begin the process of changing us into the people we want to become. Jeremy truly listens and conveys a strong sense of empathy and compassion. We look forward to a session with Jeremy knowing that he will help us to create a sense of inner peace. I started acupuncture almost a year ago to complement my fertility treatments. It was a wonderful stress relief and helped my body and spirit during a very difficult period. Jeremy is a very positive person to work with. He is knowledgeable about various illnesses and suggests natural solutions for healing. In addition, he is sensitive to concerns and a good listener. I believe the acupuncture was key to my success in getting pregnant and maintaining good health throughout the pregnancy. After a year of working full-time and attending graduate school part-time, my body became so weighed down by stress that it basically stopped working. I had mono in college, and that’s exactly what this felt like. From roughly April to August, I was constantly exhausted. I couldn’t exercise, I could barely function at work (if I could show up at all), and my social life came to a standstill. I saw several doctors over the summer, and I was tested for everything from mono and Lyme Disease to hypothyroidism and diabetes. Everything came back negative, so they sent me home without any guidance or help. A friend of mine suggested I try acupuncture, so I scheduled my first appointment with Jeremy in late August. It’s difficult to describe the change I felt. It wasn’t sudden, like you would experience from popping a pill. I can’t say I noticed anything in particular my first time, but on my third visit, I fell asleep on the table. When I woke up, I felt a calm in the center of my chest that I’ve only felt once or twice in my life. It stayed with me for the rest of the day, and over the next few weeks, I began to notice that along with increased energy, I was much more capable of handling stress—which seemed to be a major factor contributing to my fatigue in the first place. I’ve been going to the clinic for about three months now, and my body has steadily gotten stronger in that time. I haven’t felt the debilitating fatigue come on since I started my treatment, and I have no doubt that this is in large part because of acupuncture. I tried acupuncture a couple of times in the past and never felt it made much difference with my chronic and disabling health conditions. But my insurance (BCBS) covers treatments and I'm reaching the I'm-desperate-and-will-try-anything stage, so figured I'd give it another go. I knew nothing about any of the practitioners on my insurance panel, so tried running the names through Google at random. Came across Jeremy and liked the background story on his website (so many medical professionals don't even HAVE a website, and I'm just more comfortable when I can read up a bit beforehand). So I made an appointment and gave it a shot. I have been going once a week for several months now, so I've gotten a pretty good feel for Jeremy as a practitioner. And I think he's just the greatest! On the acupuncture front, I usually walk in with a headache and out without one, and we're working on building up other health systems over time. It's a process, but I really do believe his treatments are making a measurable difference. But beyond the acupuncture itself, Jeremy is an excellent health coach. At each appointment, we discuss my current health challenges and what I might do to address them, and I appreciate the fact that he's encouraging with ideas but also realistic about my limitations. He always checks my reaction, and never pushes his own ideas onto me. He's a guide and not a drill sargeant. Overall, highly recommended. When I first to came to see Jeremy, I was a mess. As law student I find myself under large amounts of stress and difficult time constraints, sometimes for months at a time. Anxiety and restlessness had become a part of my daily life. After working with Jeremy, the treatments, herbal medicines, and most importantly Jeremy’s compassion together have brought a sense of calm to my life. Most importantly, I feel back in control of my health and well-being. I am so thankful to Jeremy for all his skill and devotion to the healing arts. I've had peripheral neuropathy in my right foot for about 12 years & acupuncture has been the only modality of care out there that has ameliorated its symptoms at all. I've also been to a few clinics specializing in this form of treatment & Transformational Acupuncture's service has been far and away superior mostly because its practitioners really take the time to really listen to my biofeedback, positioning themselves to deliver the best results possible. I particularly give a shoutout to Jeremy and Amy who not only pinpoint the needles expertly at the outset but also checkin with me at least once during each session to see if any adjustments need to be made. Beyond that, the staff is extremely friendly & it's really easy to schedule appointments through the company's web portal. Keep up the good work! During the 5 sessions I worked with Jeremy, I felt as if – truly – he was a magician of some sort. It wasn’t only the acupressure, but the spirit of ancient and modern Chinese medicine – the healer touches spirit and body and emotions in a profound way. Following his work with me, my life then took an entirely unexpected and wonderful turn. Transformational Acupuncture was highly recommended by my primary care PA from Medical one group when I was looking for a long term solution for my skin condition, Eczema, for several years and after more than 10 visits here is why I love this place. Besides very informative emails about what I can do at home the waiting room has a full of books, where I discover "Healing with whole foods" by Paul Pitchford. After reading through the introduction (which explains what and how to eat right) and I decided to get a copy. It is the thickest book I bought since "Webster's Dictionary" but my visits and the book really have helped me more than anything I have tried. The call is coming from inside the house and yes you are what you eat. Next, the cost - the most important factor. My insurance does not cover for acupuncture treatment because Eczema is not "life threatening" but if you have a skin condition like mine the stress that comes with could really depress you and knowing that any alternative treatment like acupuncture would cost a fortune (least 100 $ and more per a visit) out of my pocket most definitely WILL depress you. Here for the almost same amount of money I get 2 full visits, can't get any better. Finally, the place is neat and quiet. The people are nice and friendly And I have a big progress report to show, no more itchiness, breakouts/flareups areas got smaller, faster healing, specially less redness on my face, naturally I don't need treatment lotion/cream as much. Not just on my condition itself but also my body as whole, I actually eat food is that good for me therefore wake up with more energy now. For reasonable price I've got something priceless, peace of mind and hope that I can start over, change. So I thank Transformational Acupuncture. As an IT executive I came in with stress, poor sleep and a huge sugar habit. I was resigned and cynical about my life, yet hopeful that acupuncture might at least help me feel more relaxed and 'stress-free'. With the very first needle I felt an amazing sensation in my body I had never felt before. I had the best night of sleep that night than I'd had in months and I returned to the office without a care in the world. Jeremy's ability to be present with you, his wisdom and authentic interest in your excellence goes beyond medicine to addressing the core of what is possible for you as a human being regardless of where you are in your life. Through working with Jeremy I discovered that I set the bar of my health too low. 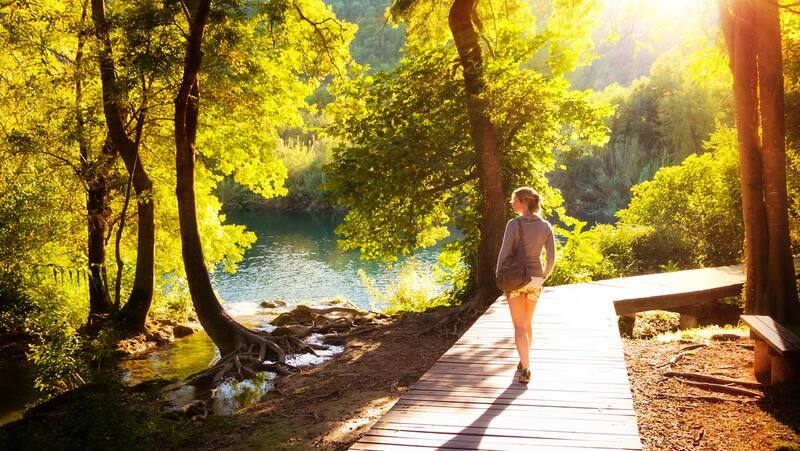 Well-being is not simply the absence of illness - it's a sense of vitality and aliveness. What began with compassionate understanding and a few needles ended up completely transforming my life. Within two years of my initial treatment I resigned as a VP from my company, sold my condo, and moved to Hawaii to study acupuncture and help people find out what it means to be alive, on a individual by individual basis. Thank you, Jeremy, for the treatment and care that opened me up to my true calling so that I can give back the gift of transforming life and well-being to others.